The Rasperry Pi does not have an on-board battery powered clock. While it is connected to internet, a NTP daemon updates the clock correctly. Otherwise, a fake-hwclock saves the current clock periodically to disk and loads it at startup. So, with high probability, after a power shortage the Raspberry Pi time will be inaccurate. For some people this behavior will be good enough, however if you are logging weather information this will be certainly a problem. This can be easily solved using a Real Time Clock (RTC) module that will keep the time when the Raspberry is turned off. When the Raspberry reboots, it can set it’s own internal clock using the time held in by the RTC. 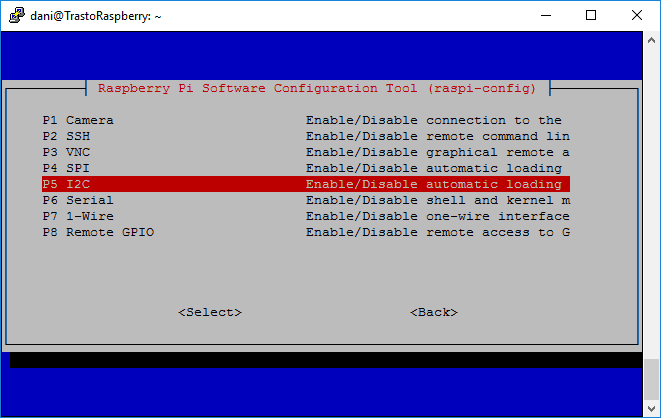 In this tutorial I will explain how to install and configure this module in your Raspberry Pi. The chipset mounted. From my research, I saw that the more common chips are the DS1307 and DS3231. However, this last one is compatible with 3 V and includes an integrated temperature-compensated oscillator, resulting in a higher accuracy. Another important aspect is the pin out of the device. Some modules can be attached directly to the Pi’s GPIO header, while others will require jumpers. It is up to you to decide if you want to keep the GPIO clear for other purposes. Finally, some devices are powered by button cells, while others uses capacitors. Capacitors are recharged by the Raspberry Pi but will not be able to power the module as long as a button cell do. On the contrary, button cells do not warn about their low capacity, so you will have to perform active maintenance and replace it from time to time. To sum up, if your system is going to be continuously running, I would recommend to use a capacitor. If it will be off for long periods of time, it would be a better idea to use a button cell. I personally have used a DS3231 module with capacitor and GPIO ready, available in amazon in this link. Remember that the change will get overwritten whenever the util-unix package is updated. Shutdown now your system and connect the unit to your Raspberry Pi following the indications of the next point. The RTC module will communicate with the Raspberry Pi using the I2C bus. This bus allows data exchange between microcontrollers and peripherals with a minimum of wiring. It consists of two signals: SCL and SDA. SCL is the clock signal, and SDA is the data signal. In your Raspberry Pi the I2C bus is located in pints 3 and 5, as can be seen in this image. 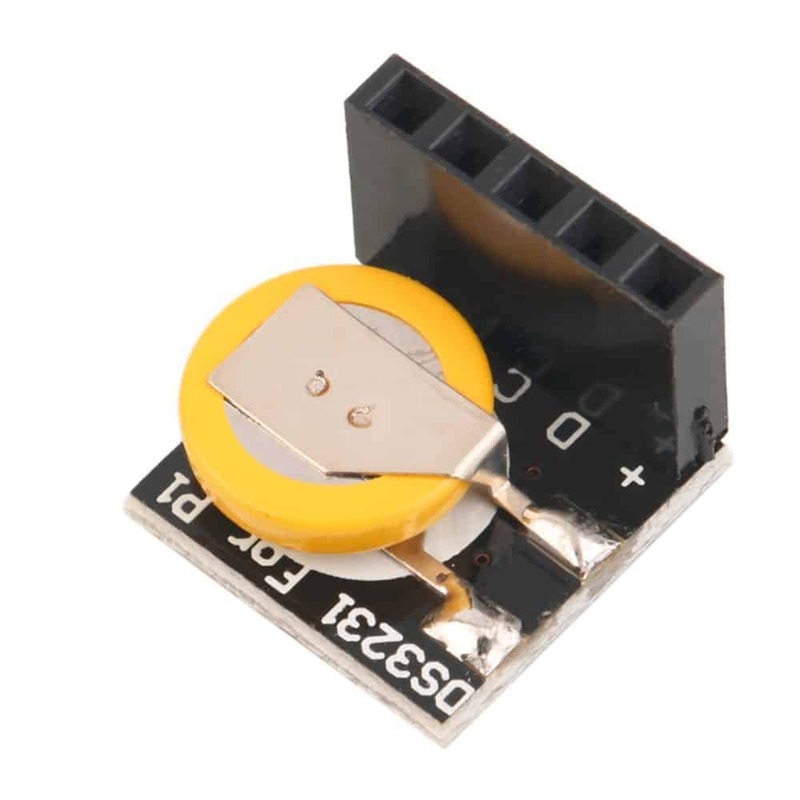 Of course, you will need to power your device with 3,3 or 5 V. So to connect your device you will only need 4 wires: PWR, GND, SDA and SCL. 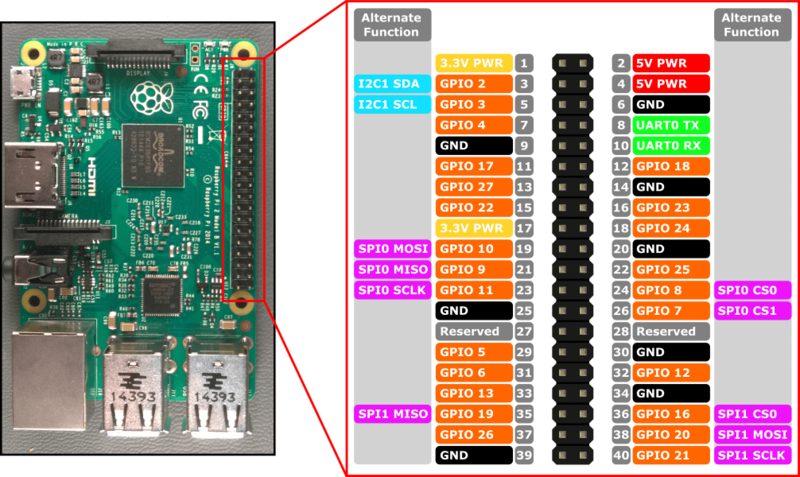 Depending on the module bought, the pinout will be already adapted to Raspberry PI and the connection will be, as in my case, extremely easy. You can read the Raspberry’s system time by using command date. If your current date is not correct, use the NTP daemon to set it correctly. To check how is time being synchronised you can use the following command. Your current time source is marked with a + sign. The most important field is Offset and represents the difference between the ntp server and your system clock in milliseconds. You can also check the deviation between the system clock and the RTC clock by using hwclock -c. It can be interesting to check how precise the RTC module is by comparing it with an updated real time after a few months of usage. Finally, an interesting command regarding time with plenty of information is timedatectl. Here you can note the differences between System and RTC time, as well see if the NTP is updating time correctly.